Seated from left: Prof. Dr. Arno Ruckelshausen, Dr. Bernd Scherer, and Dr. Reinhard Grandke. 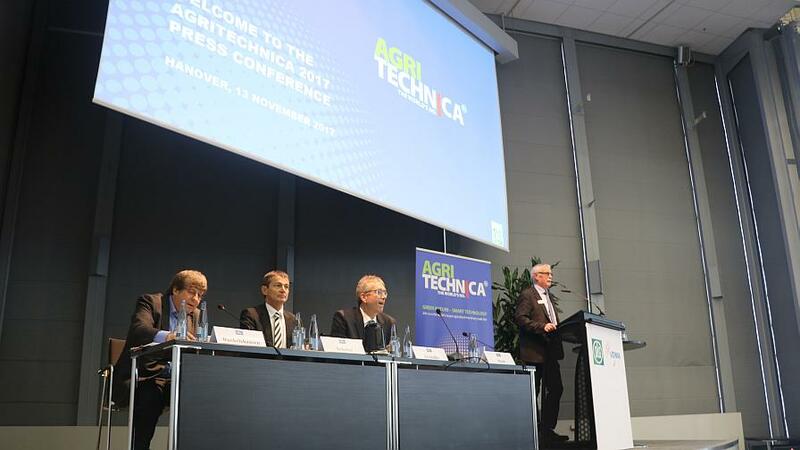 While North American growers slog through yet another season of depressed farm incomes and commodity markets, across the pond it’s looking like ag tech companies could find some success in the next two years, according to research presented at Agritechnica 2017 by conference organizer DLG (German Agricultural Society) last month. Staged biannually at the leafy Hannover, Germany, Messe Fairgrounds – a former German military aircraft factory repurposed into a trade show venue by Allied occupying forces after World War II – the show offers a fascinating look behind the curtain at the current state of production agriculture in Europe. So just what, exactly, did we find out in Deutschland? According to Dr. Reinhard Grandke, CEO of DLG, the main challenges facing European farmers currently remain societies acceptance (or in some cases, its lack thereof) of advanced breeding technologies like GMOs, and the growing integration of ag tech into the production ecosystem. He cites three years of stable crop prices, an average 2017 grain harvest, and a forecast showing rising crop price trends at the start of the new year as evidence that European farmers are “more positive about business development” opportunities in the next 12 months. Additionally, a DLG survey of farmers from across Europe shows that between 35 and 50% of growers are open to investing in new technologies in 2018, and positive signals from North and South American export markets on demand only help buoy those statistics. Currently, Grandke shares that Russia is the largest grain exporter in the world, and Poland and Russia lead the pack in Europe when it comes to ag tech investment. 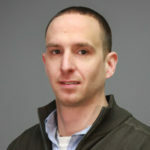 He also sites Data transfer, connectivity, and data privacy as issues challenging the European farmer when it comes to ag tech adoption. Documentation, as well as software capable of running operation-wide analyses on ROI, and mobile apps that help support better decision making – particularly among German farmers – are greatly needed at the farmgate, according to Grandke. Next to address the assembled media was Dr. Bernd Scherer, CEO of VDMA Landtechnik (German Agricultural Engineering Association), discussing the current state of ag equipment in Europe. Scherer shared that market experts he’s talked with currently predict “remarkable growth” in 2018 in the U.S. domestic ag equipment marketplace, and European machinery sales volumes should track upward with the positive swing in farmer optimism. He also shares that currently the regions of Western Europe, the U.S., and China are “calling the shots” in the large ag equipment market, and predicts a 4% growth rate in 2018 over 2017’s record “magical” $100 billion Euro market total. Scherer also proudly notes the fact that over 80% of the machinery on display at this year’s Agritechnica are based on digital technologies, and sites rural broadband connectivity expansion, as well as data security, privacy, and standardization, as major challenges currently hampering the European equipment market. “Agritechnica is the best example of digitization leading the way in agriculture,” he says in closing. Prof. Dr. Arno Ruckelshausen, from the German University of Osnabruck, was the next to address the media throng. His main sentiment was a rather timely one, as it fit nicely with the overall theme of the show that success will be found in creating easy to use technologies. “Digitization needs to be created with the human as the center, with the human in mind,” he stated. Prof. Ruckelshausen also downplayed the ever-trendy moniker “Big Data” saying that “smart help with small data and low cost” solutions will in the end be the most powerful for the European farmer. With Agritechnica 2017’s seeming explosion of sensing and robotic technologies, one trend is becoming increasingly clear, according to Prof. Ruckelshausen. From his standing in academia, Ruckelshausen forsees technology only becoming more effective as our creativity continues to expand. Although, if the ag tech companies working in advanced machine learning and artificial intelligence find success anytime soon, perhaps we won’t need that human brain anymore after all?